This series is all about what I'm currently binge watching on Netflix. As you probably know - there's a lot of amazing television shows streaming on Netflix and I'm prepared to share all the shows I enjoy with you, and why you should be watching them too.. that's what friends are for right? So - enjoy. 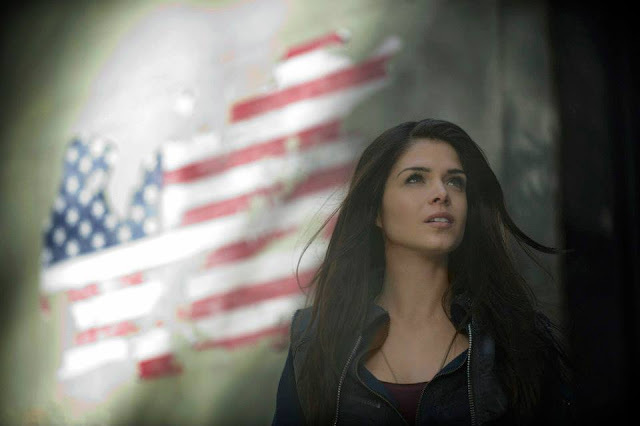 The 100 is a CW drama series that is based off of the books written by Kass Morgan. The show takes place in the future - almost 100 years after a nuclear war destroyed Earth and all of humanity. What is left of humanity now lives on what they call - The Ark - in space, where they have planned to survive until Earth is inhabitable again. The Ark is quickly becoming a place where there will be no air left to survive, so they are tasked to do the impossible and finally send 100 prisoners - under the age of 18 - down to Earth to find out if humanity can finally return home. As the 100 prisoners hit the ground - they soon realize that they aren't the last of humanity, and a lot has happened since they last stepped foot on the ground. It took me a long time to watch this show. 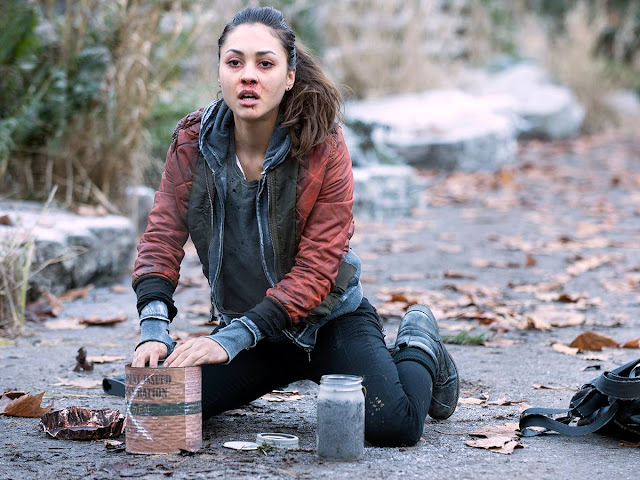 I watch a handful of shows on The CW, and when I first saw the previews for The 100 - it only interested me a little bit, I saw it being cancelled after it's first season because The CW likes to pick shows up and trash them the following year, so I didn't care to give it a chance. But - I was wrong. I finally had time to sit down and watch the show on Netflix, and I'm so glad that I did. 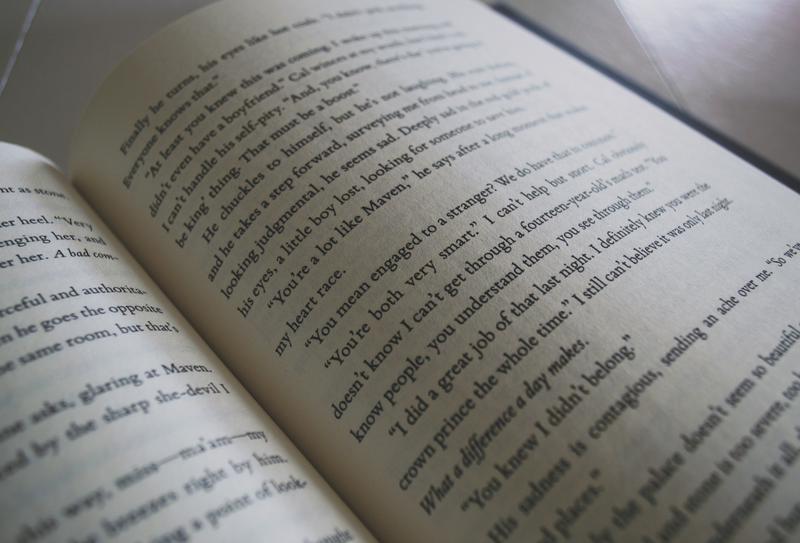 What I thought was just another Hunger Games/Divergent story - is SO, so much more than any teenage dystopian world. The show has a different tone than most of the shows on The CW - some episodes don't feel at home on the network - It's not just another CW show, and I'll tell you why you should be watching it now. The characters of this show are worth the watch alone. I've seen a lot of reviews where people thought the characters could be a little 'dumb' and make irrational decisions - but I think every bit of them are real and relatable. As viewers, we see the whole picture of the story - but the characters don't always know everything that is going on around them, so the decisions they make are ones people would make in their position. 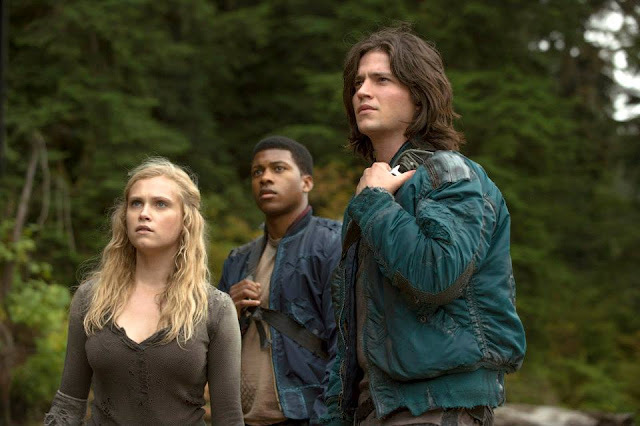 The 100 has such a diverse cast - especially for a CW show. I want to talk about the women of this show, because they are all so strong and beautiful in their own way. It's hard to choose just one favorite character amongst them. We root for all of them equally because they are all that great. 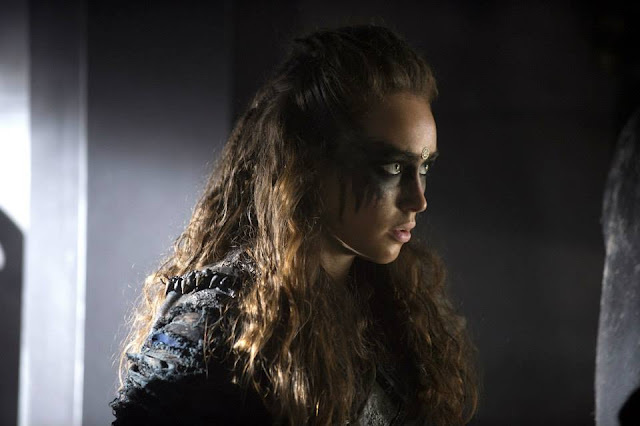 It doesn't matter if the woman is a warrior or a healer - the show does a great job at making each of them as strong as the woman next to her. They aren't overly powerful - the men are just as strong next to them, and that is exactly how I picture it to be in the future of humanity. These characters are going through more than anyone would go through in a lifetime, and the development in each character shines. I have to hand it to the writers of this show - every event, no matter how little it seemed, has an affect on each individual character. 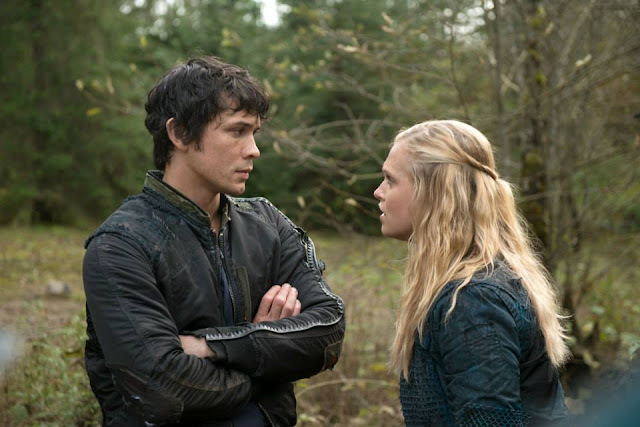 The strongest character developments come from the leads - Clarke and Bellamy. At the beginning of the series they are two strong individuals, and by the end of season one they both are working well together with a new found respect that allows them to rely on each other as leaders of the group. I love the chemistry between them - the writers know how to keep us rooting for them. They are strong individually, but even stronger together. And - I know I said it was hard to pick a favorite within the characters, but I have to admit that Bellamy is mine. His story and development throughout the series has been amazing. I have gone from hating him to loving him. Everyone has a story on this show. There are a lot of characters and we really do get to see each of them grow. No one gets left behind as the story continues - that can be hard to find in some shows. The supporting characters are just as important to the story as the lead characters are. The story is so intriguing to me. I haven't read the books, so all of this is new to me. It moves quickly - which I happen to enjoy on this show. There were only 13 episodes in the first season and it's action packed, I never wanted to look away - and not many shows can do that for me. I think having less episodes than a usual CW show - averaging about 22 episodes per season - works for The 100. The story doesn't become boring or drag on - there is no need for pointless stories within the main plot, it all fits well together. The show isn't afraid to go there. There are moments where you want to look away - from tortures, killings, and even when a character you have grown to love suddenly dies - it gets that intense. Actions aren't swept under the rug within the show - there are always consequences, real ones that don't magically get forgiven or disappear. It's all very realistic story telling. The show isn't perfect, there are always flaws within a TV series. Sometimes the characters seem too pretty or you think - there's no time for love while you are trying not to get killed - but those things are not worth complaining about. The story and all of it's characters are just worth it. It's a lot more than your ordinary teenage dystopian tale. I really, really enjoyed it. It starts off slow in the pilot - but easily picks up after the 3rd episode, and moves quickly until the season finale. The first season is on Netflix, and I won't be surprised if the second season is added this summer. That will give you plenty of time to catch up before the third season returns in the spring of 2016. 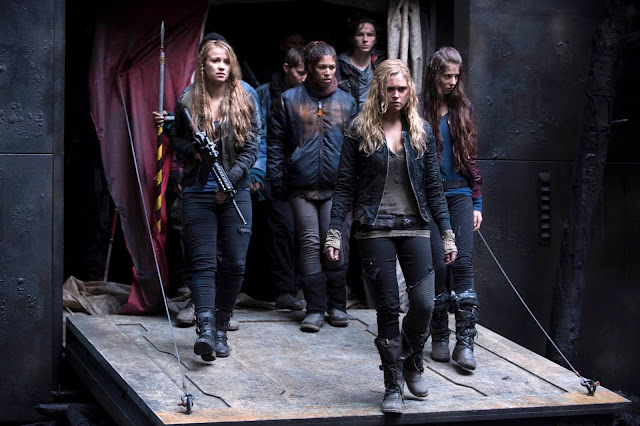 Don't judge The 100 based off of the network or how pretty the actors in it are. 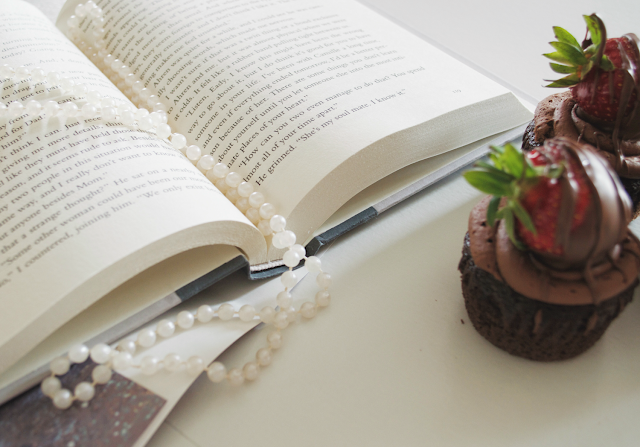 These Chocolate Strawberry Cakes were inspired by the latest book from The Selection Series by Kiera Cass - The Heir. Just like her mother - America Singer - Princess Eadlyn loves her desserts! Our Princess especially loves her chocolate, so there was no other choice but to make these yummy treats to go along with my book review! 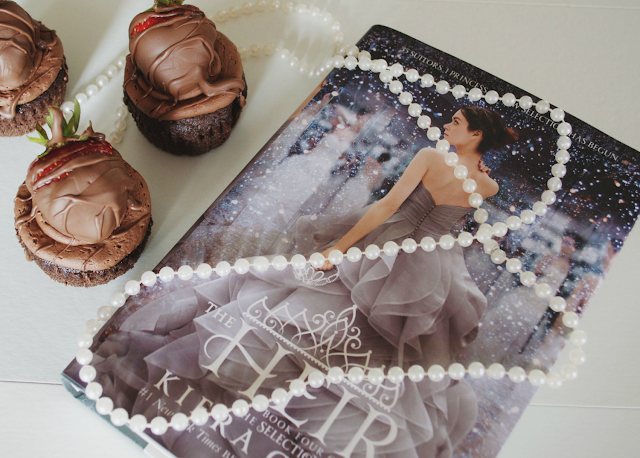 The fourth book of The Selection Series takes place 20 years after America Singer won Prince Maxon's heart through The Selection. We see the story being told from their daughter's point of view, as she begins her own Selection - Princess Eadlyn is in line to become the next Queen. The Heir is full of everything you love from this series - romance, drama, and a little bit of action. I rolled my eyes. "Everyone does. You two are practically a fairy tale." I binge read The Selection Series in a week - I couldn't put it down. 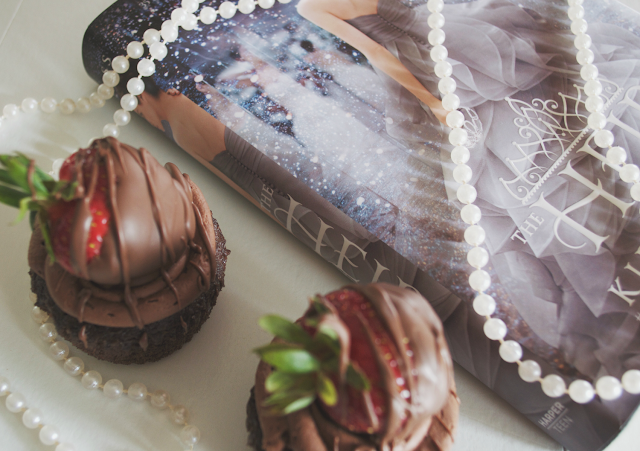 These books are fairy tales to me - full of a lot of romance, and that is why I love this series. If I am ever in the mood to fall in love with love again, then this is the series that will do just that - Thanks to the Schreaves. The Heir is just as great as the first three books, it made me feel all the feels. I'm excited to share a few of my thoughts about it with you, and please share your own with me as well. The Heir switches things around from the previous books. We get to see the process of The Selection through the selector and not the selectee this time. I truly enjoyed reading how Eadlyn deals with all of it - the pressure, trying so hard to keep her distance - and failing, and how much this whole process is changing her as a person. 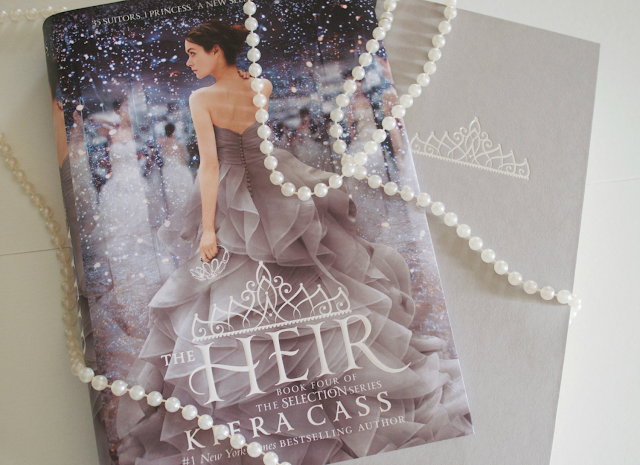 I was really excited when I found out that The Heir would be told from the daughter of America and Maxon's point of view. I imagined America's daughter to be as brave and kind as she is - but after the first chapter, you realize that Eadlyn doesn't have as much in common with her mother as you would think she would. Eadlyn believes she knows everything about herself - but I see her as a normal 18 year old girl who guards her heart, afraid to be who she really is, and full of many flaws. I feel the need to defend my girl because so many people find it hard to relate to her since she is so bratty and selfish - BUT, that is exactly why I am rooting for her! She is full of flaws and has a lot to learn about herself - and we see that she begins to understand this towards the end of the book. I truly believe she is a lot more relatable than everyone seems to think. Eadlyn isn't the only child we get to read about - We see all the other children of America and Maxon, and I love it! My personal favorite is Ahren, I love - love - love him, probably because he reminds me so much of Maxon. It's so much fun seeing where the characters we have grown to love from the past books are at in their lives now. I was surprised, but they are included just as much into the story still. "There are some things you don't learn about yourself until you let someone else into the most intimate places of your heart." There wasn't much that I disliked about this book. I wish certain things didn't happen - ahem, Ahren leaving, ahem - or how tired America and Maxon seemed now.. Overall, I truly enjoyed The Heir as much as I enjoyed the previous books. If you are looking to read a fairy tale romance story - I recommend reading all of the books from The Selection Series. 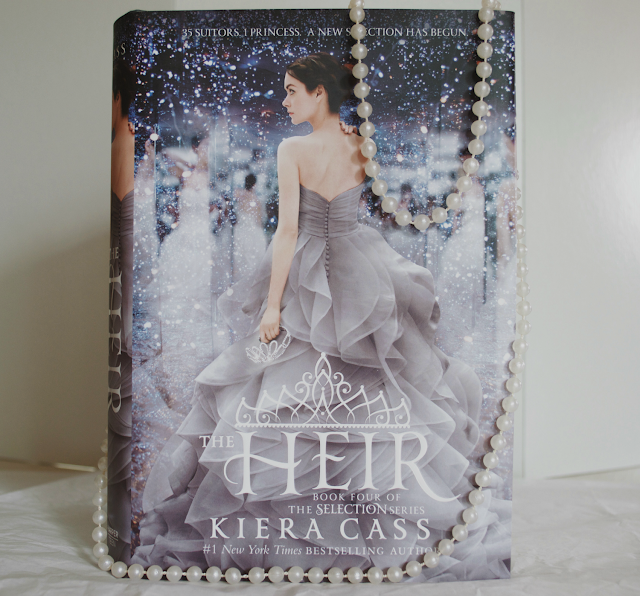 If you have read the previous books and are trying to decide if The Heir is worth reading - I say it is, because you get to see all the characters you love and fall in love with some new ones! Thank goodness there will be a fifth book out next year - because that cliffhanger at the end will be the death of me! The One ended in such a beautiful way - besides Celeste - that I have all my trust in Kiera Cass ending the whole series with a happily ever after. "I'm not sure anyone knows what they're looking for until they find it." These yummy treats are very simple to make! First, using the chocolate cake mix - make the cupcakes. 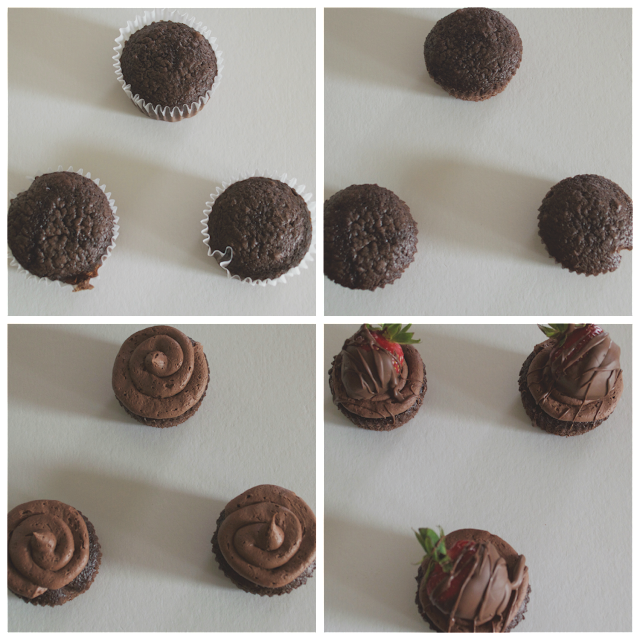 Once the cupcakes are done baking and cool - Remove the cupcake liners to apply the whipped chocolate icing on top of each one. After the strawberries are washed and dry - Melt the chocolate, specifically for baking purposes, and dip each strawberry into the melted chocolate. 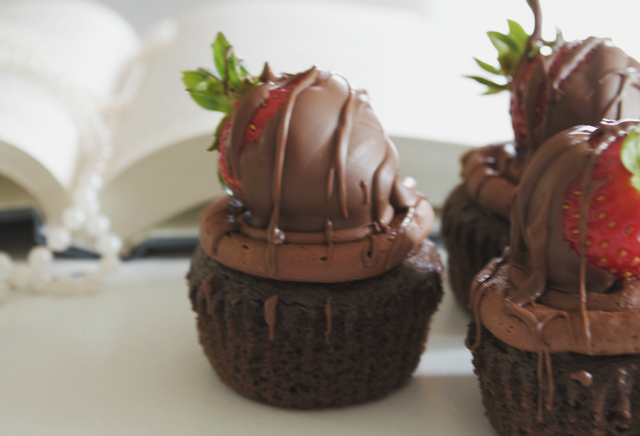 Apply one strawberry on each cupcake. 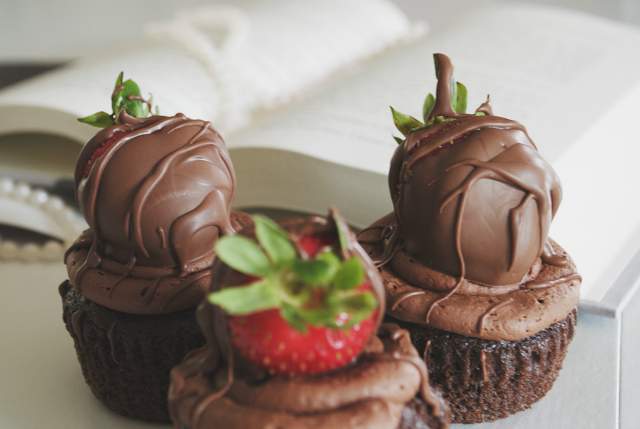 Finish by drizzling the melted chocolate on top of each cupcake. "I only have one heart, and I'm saving it." I saw a lot of my younger self in Princess Eadlyn. 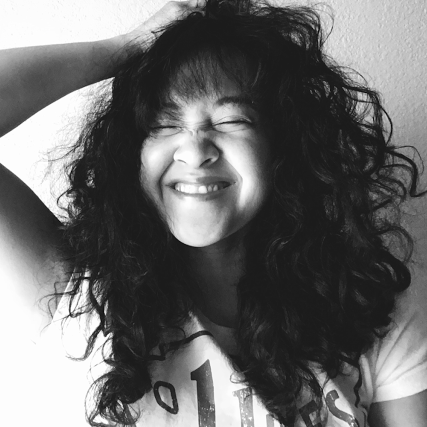 When I was younger there was always a part of me that was kept guarded, such as my heart, and it took a long time for me to let that guard down and allow others to see the real me. I think if you let people see you for who you truly are - you would be surprised at how much love you can receive from others. You have to trust that you are a good person. 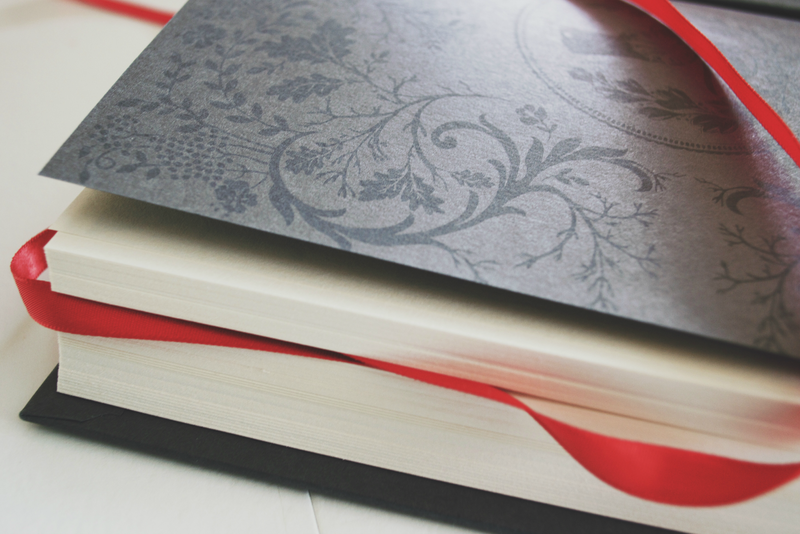 Join me and leave a comment about your thoughts on the book. 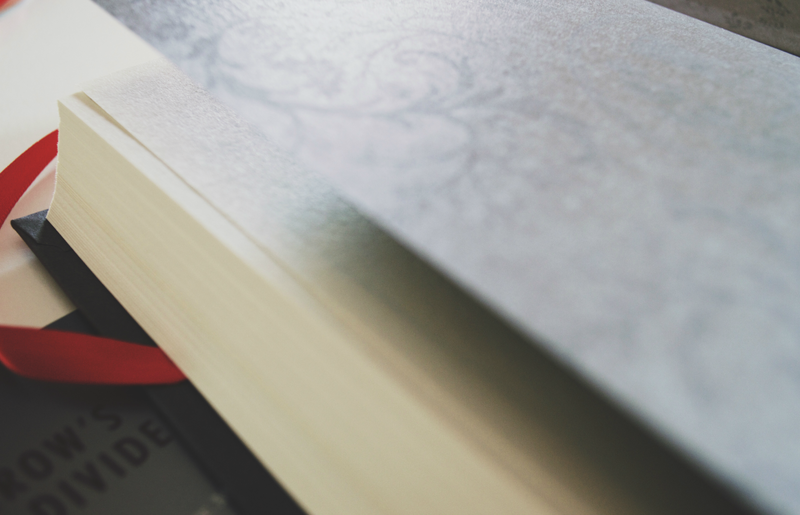 Tell us what you loved, hated, or anything you took away from the book. Inspire through your own words. I know this day will always be spent on you thanking me for being your mother. 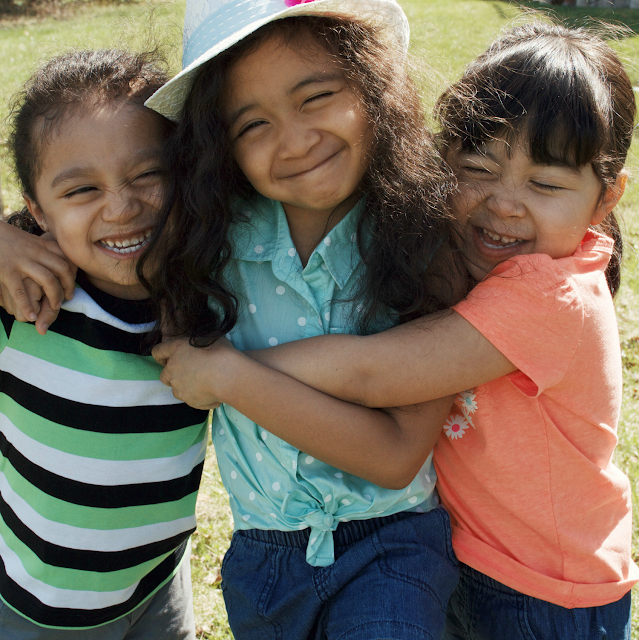 There are a lot of tough days that come when you're a mother of 3 little ones, so close in age. You've seen me raise my voice, you've seen me cry, and you've seen all my moments of feeling completely lost on trying to understand how to be a mother. The thing you don't see.. is the moments where I see you. I catch your worry in these moments, I see your love, and how much you care. In all the moments where my mind allows my selfishness to creep back up - you remind me to be better. You won't remember all these tiny details of our life right now. All the tough days won't be in your memories. They'll always be in mine. I will remember every moment you forgave me. I will remember how you turned a selfish and very flawed 19 year old girl into a more caring, considerate, and loving woman. I will remember every moment that made me a better person. The toys you love, your favorite foods, the movies that make you sad, the songs that bring a smile to your face, the friends that care about you, the teachers who help you grow - everything. All these things open up my heart just a little bit more. With you I wear my heart on my sleeve. You are the only ones who know when I'm sad, when I'm happy, and how much I can truly love - because I love you so much that it hurts. I never thought a day would come where I would know what love really was - I didn't think I would know how to love so deeply and be loved so strongly. I will love you no matter where life takes you. I will be there for you even when you don't need me - just like you were for me. You will never need to beg me for forgiveness - I will always forgive you, because you forgive me. I will always help you to see the good that's inside of you. If everything else fails around me - I know that I will never fail with you. I will remind you of all the things you reminded me of. I will show you all that life is always worth fighting for. You have given me the gift of being your mother every day, and allowing me to be a better person. You have given me so much to fight for, because I know you'll need me forever - and I will always be here. Today - we celebrate all of us. 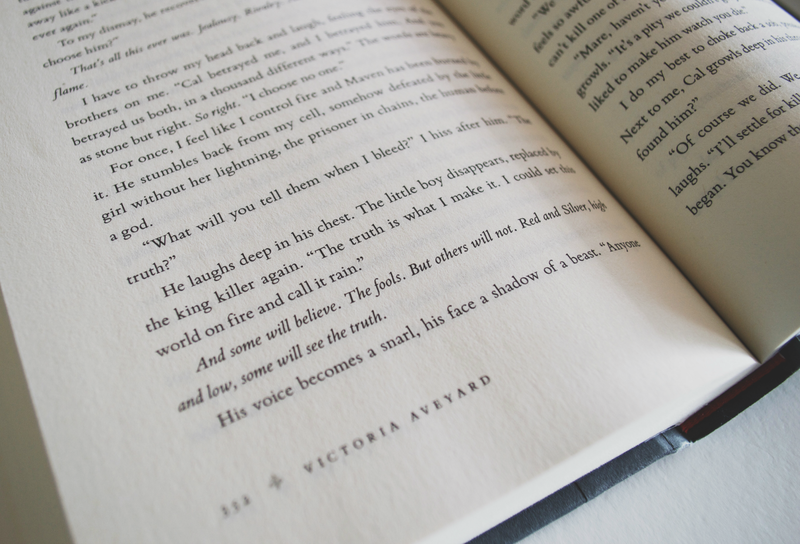 Victoria Aveyard brings to life a world set in the future, along with elements from the past to enjoy. Red Queen centers around a young girl named Mare Barrow, who is of Red blood but is special just like the Silver bloods - who hold many special powers. "I am a Red girl in a sea of Silvers and I can't afford to feel sorry for anyone." 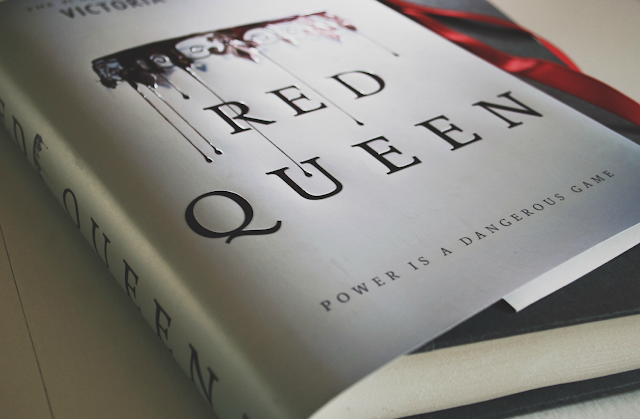 I'm very excited to be writing this review on Red Queen, finally. This book has all the elements of a great YA series. 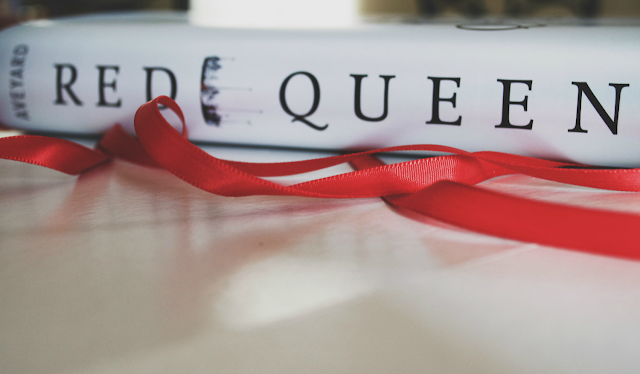 As much as I don't want to compare Red Queen to other series - I have to say that if you enjoyed The Hunger Games or Divergent then you will enjoy this book as well. There is a bit more fantasy, more elements from the past included, but strong characters inside of Red Queen - it's a very enjoyable story, so far. I'm still in all my feelings over this book, even after finishing it last week - so I hope you enjoy my thoughts about it and share your own with me. Honestly, it took me a long time to invest in this book. Fantasy stories with any mythical creatures in it don't exactly excite me and I didn't think I would enjoy Red Queen. But - I heard nothing but great reviews on it, and it was on the best selling list right under John Green - who just so happens to be my favorite author right now - So, it was time I finally check it out. I wish I didn't wait so long because it only took a couple of chapters for me to fall in love with this world and the characters inside of it. "I told you to hide your heart once. You should have listened." Red Queen is focused around a young girl - our heroine - named Mare Barrow. I truly like her. She has all the qualities I love in my favorite heroine, Tris from Divergent, which are her strength (physically and mentally) and how big her heart is. Mare is such a relatable character because she wears her heart on her sleeve, she trusts her heart above her head most of the time, and even though that might not be the smartest thing to do - it IS what we all tend to do.. & that is why I am rooting for her. She makes mistakes and it only makes her stronger - which is something girls need to look up to. Also, like Tris, everything she does is with her family in her heart and mind - it's important to her just as it would be important to me. "He will always choose you." I'll forever be on Team Cal - even if he shattered Mare's heart, I would still be crying in the corner hoping that they would just make up and live happily ever after. I just love Cal so much as a character. In this book - we see the soldier in him, he's tough and he loves strongly, just like Mare - even if his love is for his father, country, and soldiers. I think there is more to him than we've seen in the first book. He just had everything he's always known stripped away from him and that has made him tired and more vulnerable than he usually is. In the future books - I hope to see the soldier in Cal, still, but I hope to find out more about him and what he hopes for his life now.. if he has a choice still. The twists in this book are mind blowing - SO, so many twists!! 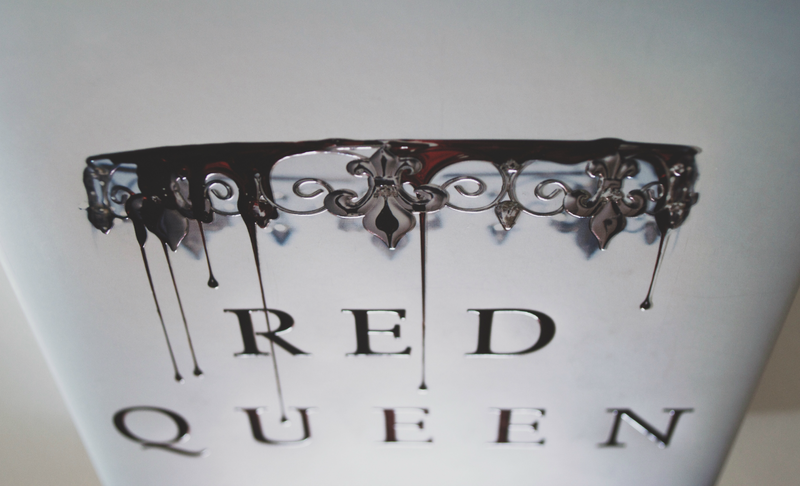 I've read many reviews on Red Queen, and there were some people who found it all very predictable and others who didn't see any of it coming. I'm with the group that didn't see any of it coming. The most shocking part was when Maven betrayed Mare - and Mare didn't even realize how much wrong she caused by her loyalty to Maven - it was heartbreaking. Looking back, I realize how many times Mare thought back to what Julian told her about Maven - "he is his mother's son" - and how the signs were always there, I mean his mom could have read his thoughts at any time! How could she not have known about what her son was doing with The Scarlet Guard? Victoria Aveyard did such a great job writing the character of Maven. I was falling in love with Maven just as Mare was. He was the perfect guy who we all came to trust and it was hard to believe that he could be capable of such a hatred act.. or acts I should say. I truly enjoy this world. It feels like a mix of the future and the past. I love how it is based off of having Silver blood or having Red blood - all the powers and uniqueness to each one is really interesting to me. Mare has the best power of them all. She is unique, thanks to the mutation, and she is both Red and Silver blood who can control her own power.. which is electricity. It's awesome - she made lighting in The Bowl of Bones! Although - There were SO many different powers one could have in this book that it got a little confusing to remember all of them. I don't think it was meant for us to actually remember every single power, but sometimes I wish I DID know them instead of having them briefly explained every time a different one was mentioned. It's not a deal breaker though, but some might find it annoying. One thing that we needed more of in this book was some girl power! I'm not fully against having a rivalry between girls, especially when it was Mare against Evangeline, but it seemed like every girl Mare came in contact with either was jealous of her or just didn't give her a chance to be her friend. I hope in the future books we are introduced to more girl characters that Mare becomes friends with - or Mare and Farley becoming good friends who fight together till the end! There were just a few more things that I wish were included into the story like Lucas staying alive and fighting with The Scarlet Guard in the next book. 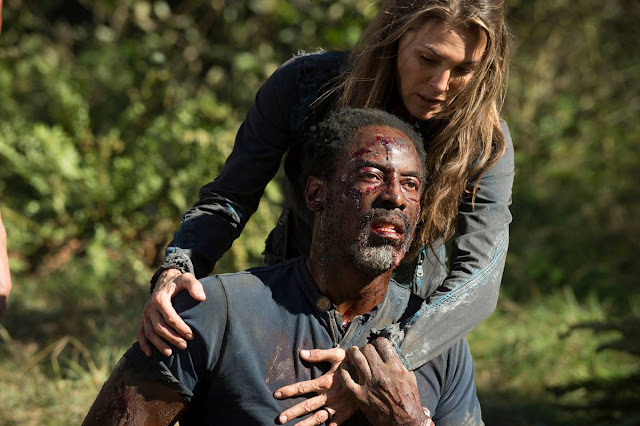 I didn't want him to die, but it fit the story and honestly I don't think there was any way for Mare to save him from what she brought onto him. Also, I wanted more of Mare with her family - I would've liked to know how they felt seeing their daughter and sister being called out as someone else and if it hurt them to see her that way. I think a lot of the things I didn't enjoy from the first book - or better yet, needed more of or explaining of - will be in the future books. It's hard to say I didn't like anything in this book or that I needed more of something - such as more character development - because I know that there are still 2 more books to come. There is SO much that I have missed in this review, but I didn't want to spoil too much if you are wondering if you should read this or not. 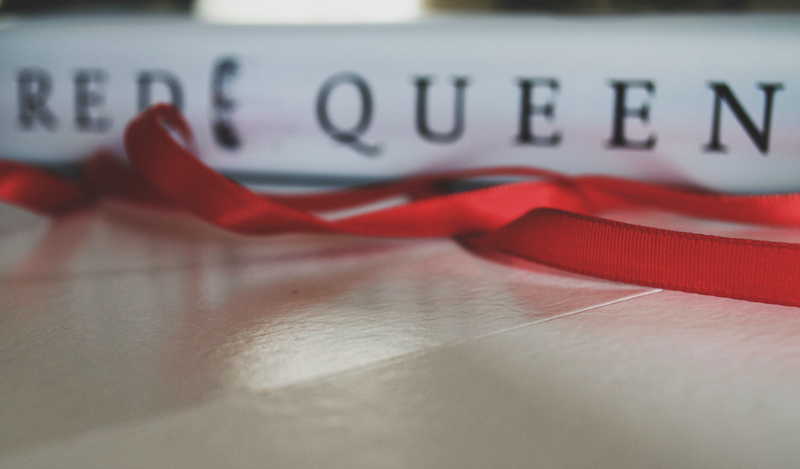 I know I spoiled some big points in the book, but honestly you have to read it yourself to have all the feelings Red Queen holds! I love these characters - even Maven. I enjoy the twists you never see coming. I love how it focuses around family - their beliefs and the drama within. Let me talk about my predictions for the next 2 books. The world is still a little hard to understand at times. There's just so much that hasn't been answered - and I think that in the next book, especially, we are going to be opened up to more of the world that hasn't even been discovered yet. The same goes for the powers each one holds, even the ones with the mutation, that will be further explained. "There is no such thing between us anymore. Not after what we did to each other, and what was done to us. No matter how much we might want there to be." I want to see them fight together and understand each other more. I don't know if Cal is going to be with The Scarlet Guard, but I do believe that Cal wants what is best for the country - so maybe he will? Also, let's forgive each other guys and live happily ever after.. Well after you finish saving the world. "I was never yours, and you were never mine, Maven." "I am the king and you could've been my Red queen. Now you are nothing." I have a love/hate relationship with Maven. I can't say that I want Maven to be killed. I do want more Maven in the next books - but I just want answers! I want to know why he did what he did. I get how he felt like "the shadow of the flame" - but was that all it really was? Is his mom still controlling how he feels? I think he truly might have loved Mare - but I don't know? I just want to see the real Maven, but then again maybe THIS is the real Maven. There is so much that I hope to see in the future books - more of how Shade is still alive, and if Farley knew the whole time. More destruction - and more of Mare fighting Evangeline and dominating, because she is awesome.. & I really want Julian to still be alive. "Rise. Red as the dawn." "Words can lie. See beyond them." If there is one thing that I learned from this book is that words are just that - there is not always truth behind them. You have to be strong and smart. Look beyond those words, know all the facts, and make your own judgment based on all of it. If your judgment fails you - know that mistakes may cost, but you can only learn from them, pick up the pieces, and become stronger.